With so many small but powerful set-up box and gears, which one to choose has become a headache problem. Here this Xbox 360 has stood out as one of the best boxes to make its users impressed. No long bubble talk about how wonderful this tool is , here we want to dig in this article is about how to break the format support limitation, and extend Xbox 360 to a all-round one which can play almost all the HD videos and your favorite TV shows via Xbox 360. 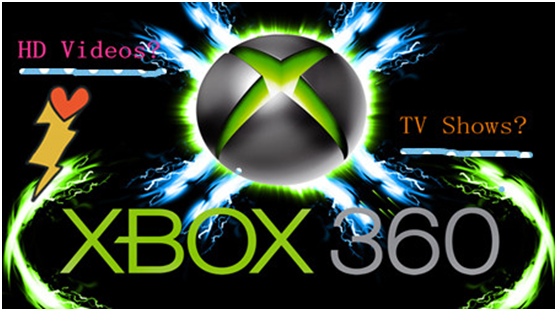 While Xbox 360 cannot accept all HD videos, such as MKV to Xbox, AVI to Xbox, etc. Before doing the file formats transcode thing, you should figure out whether your video files are supported by Xbox 360 or not. After figure out whether your files can be supported or not , you can go to the next step – Stream any HD videos , TV shows, music from PC to Xbox 360. Here are four ways for you to choose. In Windows Media Player 12, click the Stream menu and then select ‘Turn on media streaming’. 1. In the pop-up dialog, click ‘Turn on media streaming’. 2. Name your media library and click OK.
For Window Media Player 11, ‘go to Library>Media Sharing’. 1. Press the Guide button on your controller, go to Media, and select the media type you want to play. 2. Select the name of your computer and then press the A button. If a media source is already selected, press X to select a different media source. 3. Select the item you want to play or view. Now you can play videos and music on Xbox streamed from another PC. Above are the streaming ways that only for those compatible videos, but for those unsupported formats, what can we do? The best way is to make them loved by Xbox 360. Pavtube Video Converter can simply handle those rare codec like XAVC, XAVC-S, H.265 or some other formats that common used but just can’t be supported like MKV, FLV, MTS, etc. Step 1. Launch Video Converter on your PC. Click “File”>”Add Video/Audio” to load your files. Step2. 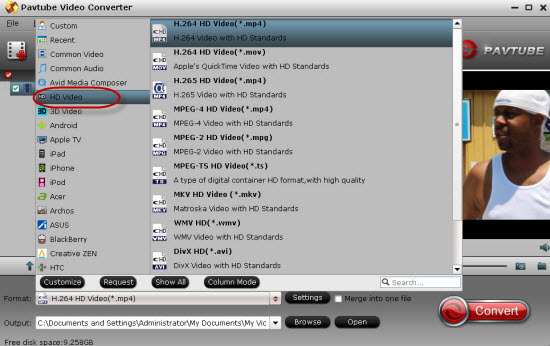 Choose “H.264 HD Video (*.mp4)” as your output format. This all-in-one converter can handle almost all the file formats exist in the market. If you forget to set the file location, just click “Open output folder” to check your converted files. Can Sony 2K, 4K XAVC Videos Playback on Xbox One/360 ?